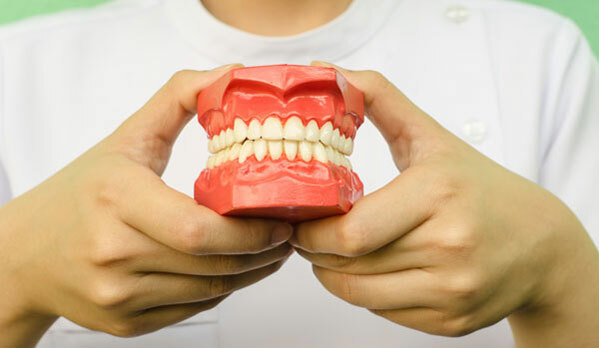 When we think of oral health, our focus tends to be on teeth. But that’s only half the story. Gum health is an integral part of dental and oral health and can also play a significant role in the overall health of your body. Taking care of your own gum health and helping guide your children in good oral habits can provide a lifetime of benefits. Here are four reasons your gums are so important. 1.They keep your teeth in place! No matter how great the condition of your teeth they require healthy gums to support them. Your gums serve as a seal around your teeth, protecting more sensitive tissues underneath. When bacteria is allowed to sit on gums and teeth, small pockets begin to form over time which provides even more places for plaque to hide. This continual erosion of gum tissues exposes teeth, increasing the likelihood of cavities and even loose teeth. 2.Having healthy gums may lower heart disease. Gum disease has been linked to cardiovascular problems like heart disease and stroke. Studies point to gum health as an overall predictor of heart health. Experts aren’t sure exactly why this is and the link has long been a matter of debate. What’s unquestionable, however, is that heart attack and stroke patients tend to also have gum disease. 3. It’s possible that having healthy gums can mean a better memory. According to a report in the Journal of Neurology, Neurosurgery & Psychiatry, researchers have noticed a link between performance on memory tests and gum health. Study participants with gingivitis, marked by swollen, sensitive gums, consistently performed poorly in memory tests when compared to those with healthy gums. Apparently, remembering to brush and floss can help you remember where you put your car keys! 4. Healthy gums can keep your whole body healthy. Bacteria in your mouth can find its way into the blood stream easily when gums are inflamed, meaning that your body is more susceptible to infections. In fact, research has even uncovered links between gum disease and rheumatoid arthritis. Using an antibacterial mouthwash can help reduce the amount of bacteria in your mouth, reducing the chance of gingivitis and possibly keeping you healthier overall.